Originally built in 1918 as a temporary home for Kohler Co.’s many immigrant employees, The American Club® was reimagined in 1981 as a world-class destination resort hotel offering the gracious hospitality and single level of quality that remains a signature of all Destination Kohler resorts. Today it is also home to 12 distinctive restaurants, numerous boutique shops and KOHLER Waters SPA—one of only 56 spas in the world to claim five-star distinction. 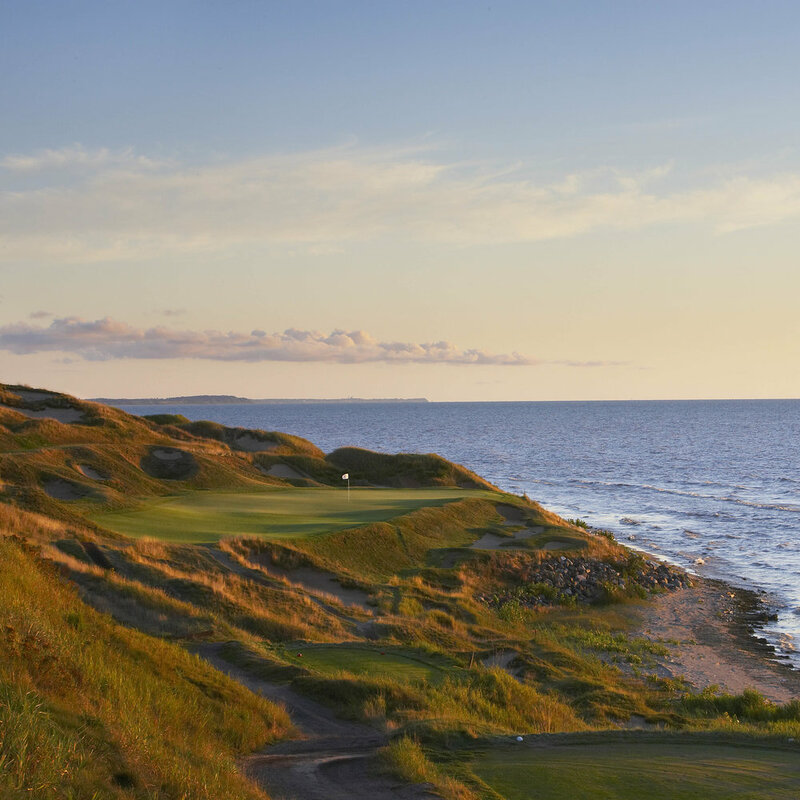 The resort, which includes four award-winning Championship golf courses at Whistling Straits® and Blackwolf Run®, has been the proud host of numerous championship tournaments including the 2004, 2010 and 2015 PGA Championships; the 2007 U.S. Senior Open; and the U.S. Women’s Open in 1998 and 2012. The resort is also proud to be hosting the upcoming 2020 Ryder Cup. Located in the birthplace of golf, St. Andrews, Scotland, the Old Course Hotel, Golf Resort & Spa is 5 AA Red Star-rated and recognized as one of Europe’s leading resorts for golfers and nongolfers alike. Bordering the renowned 17th Road Hole of the Old Course, the hotel, with its 144 rooms and 35 suites, majestically overlooks the famous Links courses, the West Sands Beach and the beautiful Scottish coastline. The Hamilton Grand luxury residence shares an equally impressive view on the 18th hole of the course. And located a stone’s throw away, the The Duke's at St. Andrews is highly regarded as one of the finest heathland championship courses in the British Isles.